‘FREE ANGELA and All Political Prisoners!’ Fanny Feeny and her daughter Coco ventured to a small cinema in Paris in search of a legend from the past. Despite being busy touting her own film projects and marking university exam papers Fanny felt compelled to pen a few words for Ancient To Future. 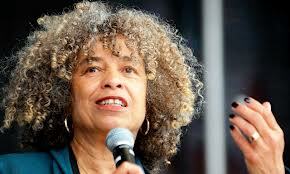 As a teenager back in in the Seventies, the name Angela Davis was as familiar to me as was her iconic afro. It marked the decade along with other symbols like the face of the Ché (which adorned teenage walls across the country), Mao Tse Tung and Cassius Clay, who had somehow transformed into Mohammed Ali, for reasons that weren’t very clear to us at the time. However, they remained images, two dimensional representations of what were to become part of our collective memory of our childhood. Some people have a handful of white bordered, square, faded photos of themselves wearing flared trousers and big hair. 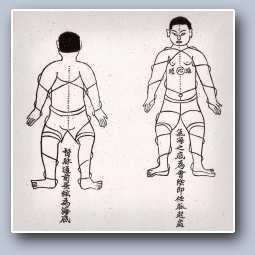 I don’t have them any more, but I remember them well. Shola Lynch’s film ‘FREE ANGELA and All Political Prisoners’ covers four years of Davis’ life. The faded appearance on the screen of a mass of archival footage (where did she get all that?) helps weave a story that was shrouded in a mist of familiarity. It felt like a part of history I might have once understood better, but of course I didn’t. During the Seventies Angela Davis was portrayed as a dangerous trouble-maker and the details were skipped over, which was of course, why she seemed so cool. 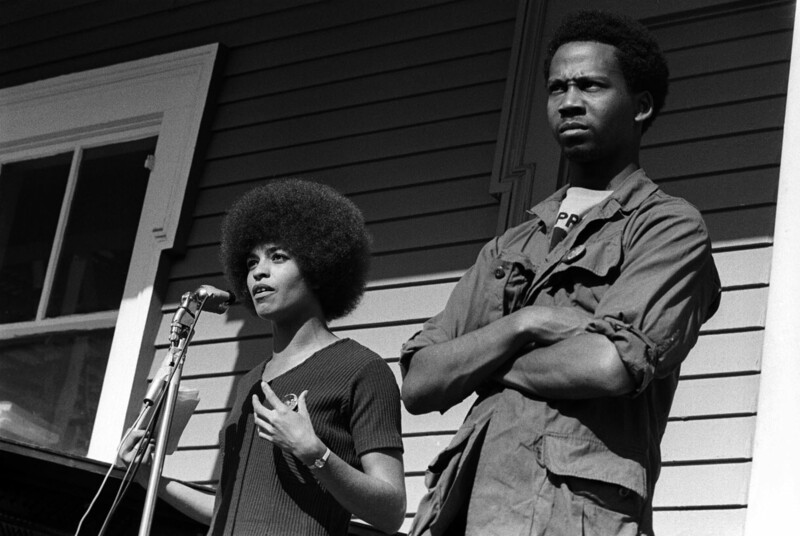 Angela Davis speaks at a Black Panther rally in Defermery Park, West Oakland. As an African American raised in Birmingham, Alabama, Angela Davis was one of few who was able to complete her education in Germany and France. Her arrival as a philosophy professor at U.C.L.A. with ties to the Black Panthers and the Communist party, set her on a collission course with the University board chaired by the state governor, Ronald Reagan. This memorandum is to inform everyone that, through extensive court cases and rebuttals, Angela Davis, Professor of Philosophy, will no longer be a part ot the UCLA stalf. As head of the Board of Regents, I, nor the board will not tolerate any Communist activities at any state institution. Communists are an endangerment to this wonderful system of government that we all share and are proud of. Please keep in mind that in 1949 it was reaffirmed that any member of the Communist Party is barred from teaching at this institution. Her supposed involvement in the murder of a judge and consequent imprisonment constitutes most of the film. It combines period footage, with present day interviews of her friends, family and Angela herself. There are a few re-enactments, insinuated more than shown, shadows and silhouettes, where Davis is represented by her niece, Eisa Davis. ‘FREE ANGELA and All Political Prisoners’ tells the story of a generation, brothers and sisters, fired up by injustice and police brutality, inspired by the ideas and rhetoric of Black Nationalism and Black Power who readily risked their lives to fight for a fair deal. There’s no voice-over, the footage tells the story like it was. 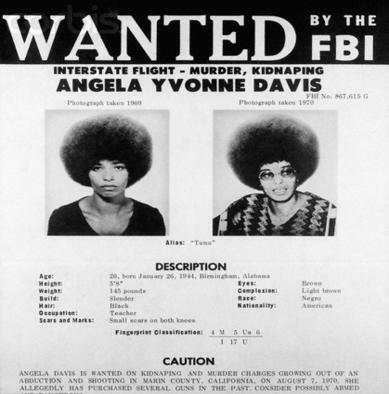 The love story between Ms. Davis and Black Panther, George Jackson, adds genuine poignancy to the film and the distance that Ms. Davis’ wanted to put between herself and “Free Angela” falls to the wayside, momentarily betrayed by her body language, when she talks about Jackson in the interview. In the United States particularly it was one of those periods when change was squeezed out of the system by the sweat and blood of a brave minority who were willing to look the state in the eye, and say – “no more, this is not the way it’s gonna be”. It was a period of turbulence, struggle and pain, a pain which finds it’s voice in the primal screams which tore through the cinema when the news of George Jackson’s death in the film was announced. The unease at this point, brought on by the voice of jazz singer and activist Abbey Lincoln, made the hair on my arms rise and the woman in front of me look away from the screen and put her face in her hands. 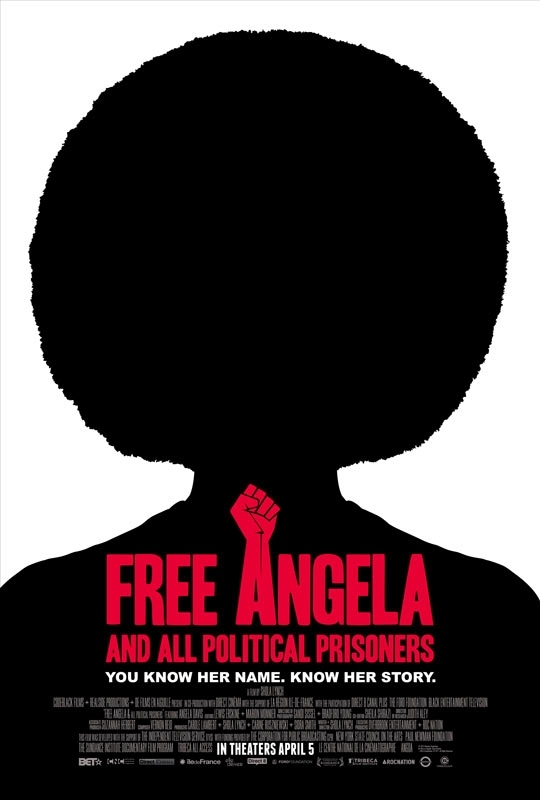 Watch out for showings of ‘FREE ANGELA and All Political Prisoners’ in the UK… it was shown at BFI Film Festival 2012 and is currently showing all over the US. This entry was posted in Deep stuff, Follytricks! and tagged Angela Davis, Balck POanther Party, Black Nationalisn, black power, Commmunist Party Of America, documentary, Free Angela & All Political Prisoners, George Jackson, politics, Ronald Regan, Shola Lynch. Bookmark the permalink.